Continuing on our flight, we come to the city gate. Alas- this version was rejected, as the portcullis was too medieval- a hinged gate was chosen for the final animation. 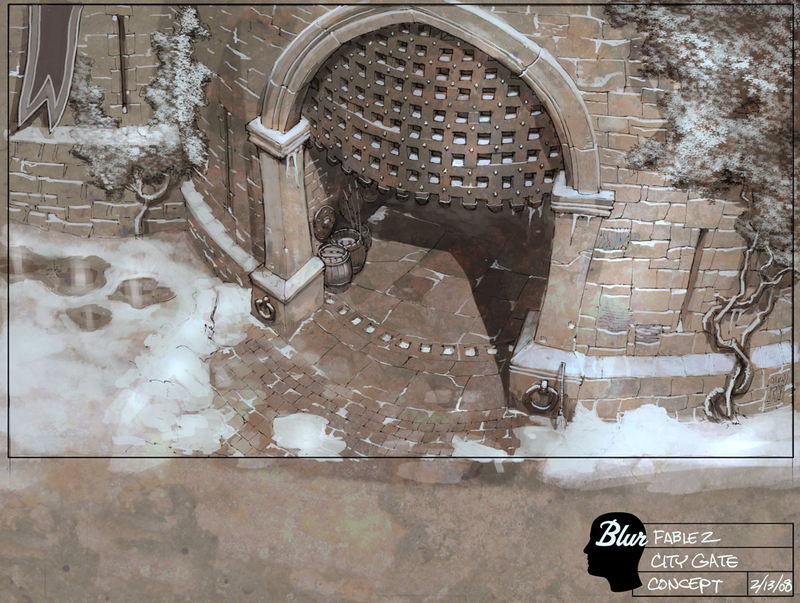 The design was loosely based in in-game elements.